Whether you love indulging in on-trend manicures or are entirely new to the nail game, there’s no denying the aesthetic benefits of a manicure. But, have you ever wondered what really is the difference among the bazillion options you see on the salon menu? There happens to be way too much choice (not that we’re complaining! ), which can get quite confusing. 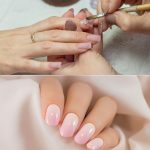 Before your next trip to the salon, you need to know the difference between acrylic nails, gel nails, and shellac nails, so you can understand what you are getting yourself into. Read on to gain an insight into every type of manicure. 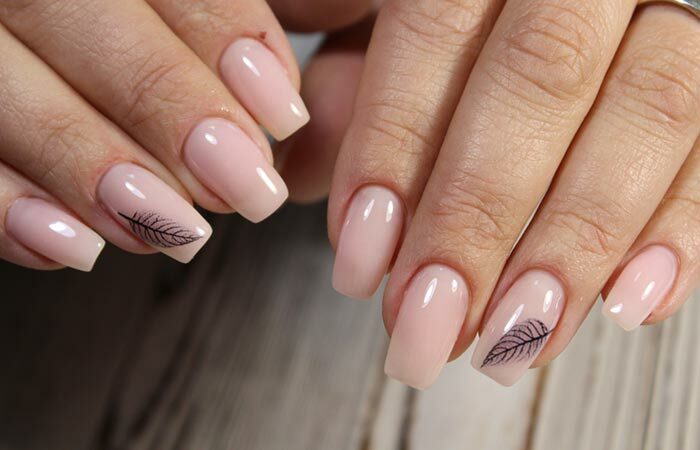 Acrylic nails are done with a mix of liquid and powder monomer that’s rounded into a ball of dough, shaped onto your nails with a brush, and air-dried. When you’re getting acrylics, the nail technician usually fashions them into tips to achieve a more natural look. After this, each nail is shaped and painted with polish. If you want more length or are looking to change the shape of your nails, acrylics are ideal for you. Acrylic nails last about two weeks with proper care. Nail refills performed by a technician can make them last a few weeks longer. Gel manicures promise chip-free, ultra-glossy nails for up to two weeks. Whether you have natural nails (short or long) or would like to get tips glued on first, gel manicures are for everyone. The technician starts off by applying a base coat that primes your nails for the gel. Then the gel polish is cured under a UV light. After each coat is painted on, you have to place your hand under the UV lamp for 30 seconds. Finally, a glossy topcoat and one minute under the light wraps up the process. What Is The Difference Between Acrylic And Gel Nails? To put it plainly, acrylic is a mixture of liquid and powder, while gel is gel. Both these formulas can be made to match the shape of the nail or lengthen it. 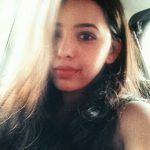 So, if you want longer or stronger nails, you can opt for either acrylic or gel extensions. However, gel nails are typically more flexible and can endure significantly more force than acrylics. They also cost around 15-20% more than acrylics. Now, you must be wondering where shellac polish fits into this picture. Here’s what you need to know. 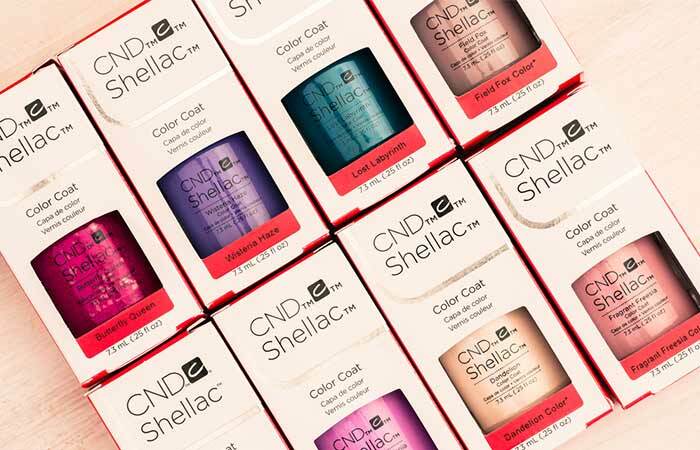 Shellac is a patented nail product by the company CND (Creative Nail Design). It is basically a hybrid of gel and regular nail polish. As it is like polish, it can’t be used to extend your nails. However, it does a great job at adding strength and durability. Shellac also happens to be a lot less damaging to nails when compared to traditional gels or acrylics. Here’s how shellac nail polish differs from gel nail polish. 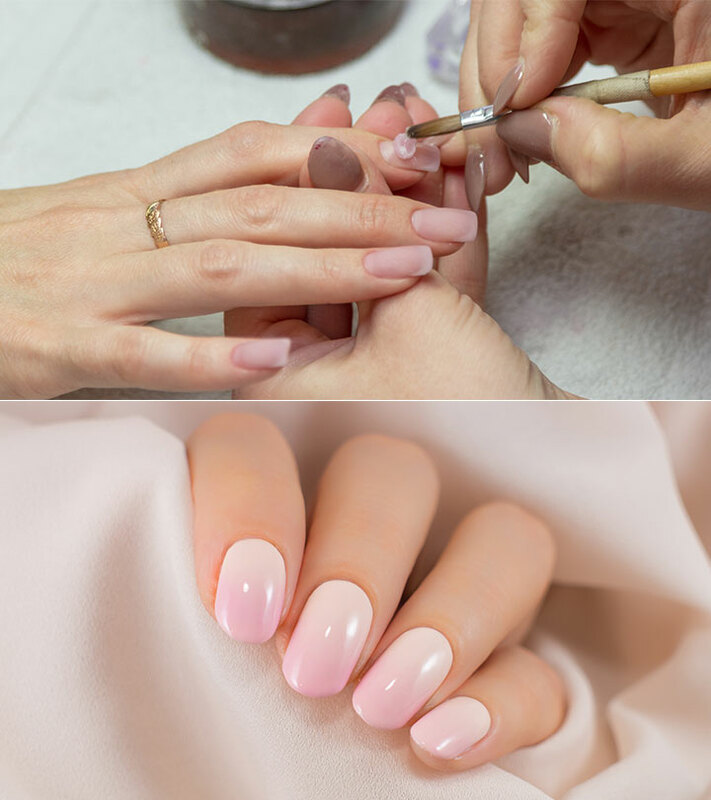 While the processes for getting both manicures are similar, there are two significant differences between the two. The first one has to do with the formula. Shellac is a type of permanent nail polish (half gel-half polish), while gel polish is basically a gel in the form of polish. The second big difference is in the removal time. Shellac is faster and easier to remove than gel nails. If you want longer nails, acrylics are your best bet. If you want stronger nails and a long-lasting mani, gel or Shellac is the way to go as it will give you chip-free, durable nails. Shellac works best if you want the most natural finish. Since your nails provide important clues to your overall health, it is essential to take care of them just as much as you look after your skin and hair. For the best results, make sure you go to a well-trained technician and a reputed nail salon to get your manicure. That was our take on acrylic versus gel nail polish. Which manicure are you looking forward to getting? Let us know in the comments section below.